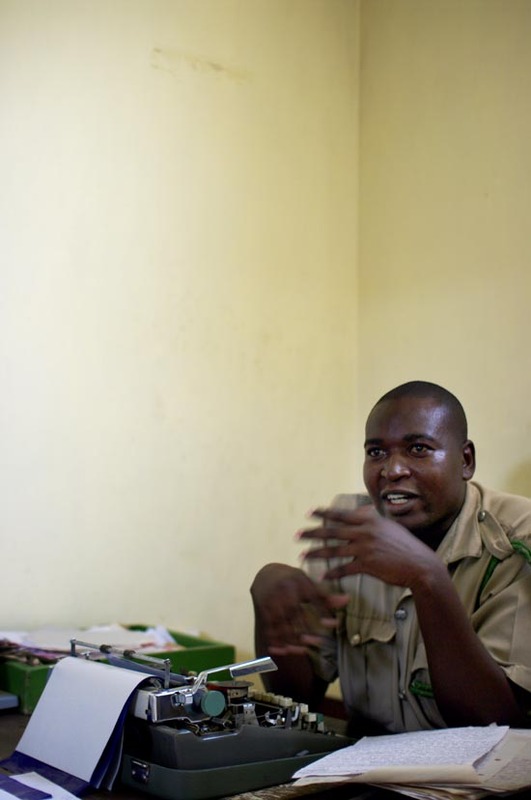 Kibos Prison’s documentation office is as black, white, and faded as any old photograph. The light falls heavily through the barred window and the posters on the walls have begun to fade. Sketched by a prisoner, one poster quotes Nelson Mandela; “It is said that no one truly knows a nation until one has been inside its jail…” A prison officer sits behind a pile of court records, while a prisoner, dressed in black and white stripes, works away on a worn out typewriter. It’s the typewriter which captures my attention first. Somehow it belongs to the room; tired and heavy. While the Government of Kenya has moved to furnish prison offices with computers, Kibos has yet to acquire such technology. In fact, a computer in this room would feel rather out of place. 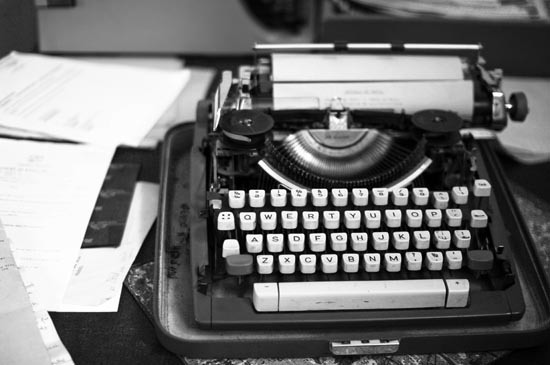 The typewriter – donated to the prison by a local NGO, is the only machine available to the documentation office which assists over a thousand prisoners with their court proceedings. 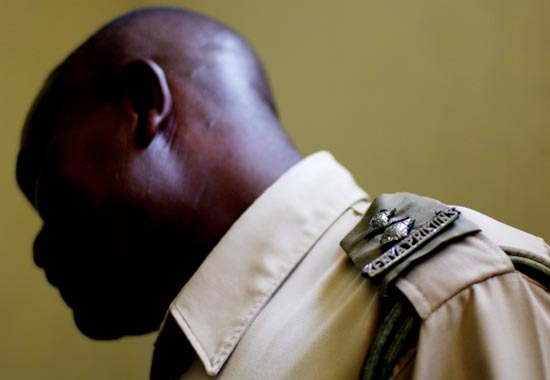 Four hundred and fifty prisoners at Kibos are capital offenders sentenced to death row. Their only hope is to mount a successful appeal and CLEAR has been instructing prisoners on how to prepare the necessary documentation, notices of appeal, chamber summons, grounds of appeal, and affidavits. While the prisoners have become quite proficient at drafting legal documents, the task of typing it all up has proven to be the greater stumbling block. Each applicant is required to submit 7 copies of their application, along with copies of all previous court proceedings to the Court of Appeal within 14 days of receiving judgment. The result is a lengthy, technical, and tedious application – to be prepared within strict time constraints. Those who cannot afford an advocate draft their appeal themselves, submitting their papers to an officer to be typed on the typewriter. While the prison staff are highly supportive, the workload is too great, and resources too few. It takes time to edit errors, to cross check records, and to type several copies. After prodding, one officer shyly confesses that it takes him 30 minutes to type each page. He has enlisted a friend to help him, but some days it is nearly impossible to submit the appeals on time. 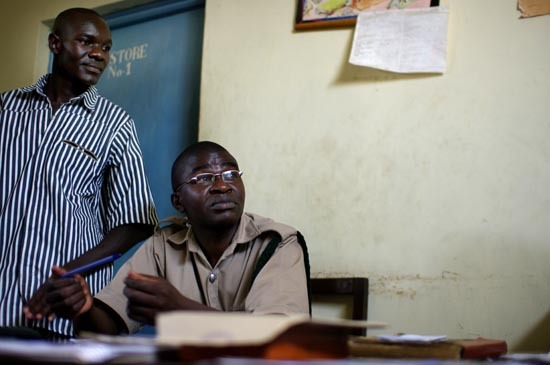 The wheels of justice in Kenya turn very slowly, and the prisoners are no strangers to delay. But delays resulting from a prison official’s inability to prepare documents in time are particularly frustrating. Once the 14 day period has elapsed, the applicant must seek special permission from the court to hear his appeal out of time, slowing all future proceedings as a result. For those who have been sentenced to death, filing an appeal is a second chance, an opportunity to plead for leniency – and therefore, no small matter. The weathered typewriter in Kibos Prison’s documentation office is a telling example of the systemic failures which afflict Kenya’s justice system – where even the mere task of typing can obstruct due process of law.